I am especially pleased to introduce Altmetric’s December 2015 Ambassador of the Month, Nickoal Eichmann. Before her current gig as the History Research Librarian at Mississippi State University, Nickoal and I worked together at the Indiana University Bloomington Libraries, where she did a tremendous amount of (digital) heavy lifting that informed our joint research into the use of persistent identifiers in institutional repositories (and its effect upon altmetrics services). Nickoal has been instrumental in bringing altmetrics into the lives of researchers at Mississippi State, and in providing research support and scholarly communication support services across campus. Via email, I chatted with Nickoal about how librarians and others can best advocate for altmetrics to humanities researchers. Tell me about your current work at Mississippi State University. What does a typical day look like for you? Every day is different, which is the beauty of being a librarian! Most days, I’m juggling research consultations, project and committee meetings, and my own research; occasionally, I teach workshops or hold tailored library database training sessions for history courses. As the History Research Librarian, I support the research endeavours of our historians (faculty, graduate, and undergraduate) throughout the research lifecycle, broadly speaking. It’s a new position in our library, so there’s some entrepreneurial aspect to it: I’ve embraced the traditional subject-specialist role (helping researchers find and appropriate sources and tools for their projects) while specializing in digital scholarship and scholarly communication, in particular digital humanities, open access, and copyright. Last year, the MSU Libraries launched what we’re calling our Scholarly Communication Initiative, and I am also a collaborator on a digital history project highlighting Civil Rights struggles in Starkville, MS; those two projects have been keeping me rather busy lately. 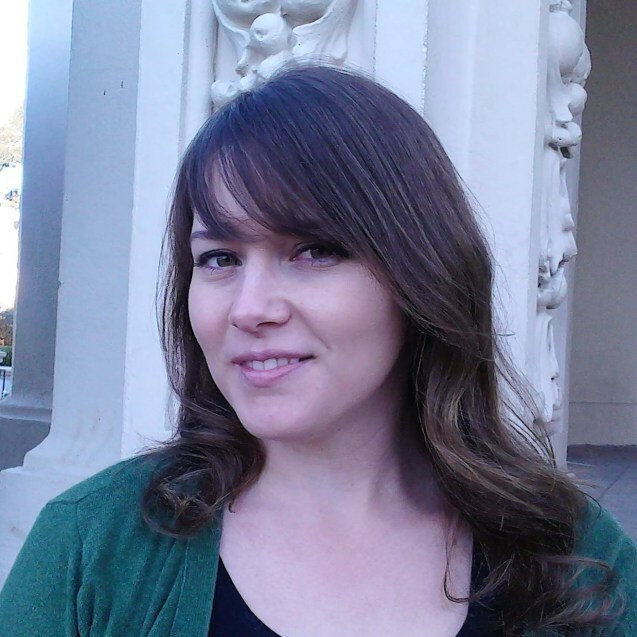 How do you use altmetrics in your current job? Right now, I’m mostly having conversations about altmetrics rather than using them; in other words, it’s an outreach tool. For instance, we’ve hosted workshops about open scholarship in which we talk about about altmetrics as an incentive, and we have one workshop dedicated just to altmetrics. Most of these were held during Open Access Week. I also talk with my fellow MSU librarians about the benefits and challenges of altmetrics, and how they or the faculty they work with might incorporate altmetrics into their P&T packets, which means talking about altmetrics aggregators (e.g. Altmetric Bookmarklet, Impactstory, etc.). Otherwise, for collection development, I’ve used the Altmetric Explorer to see if topics of books I’m selecting are of growing interest. Where did you first learn of altmetrics? 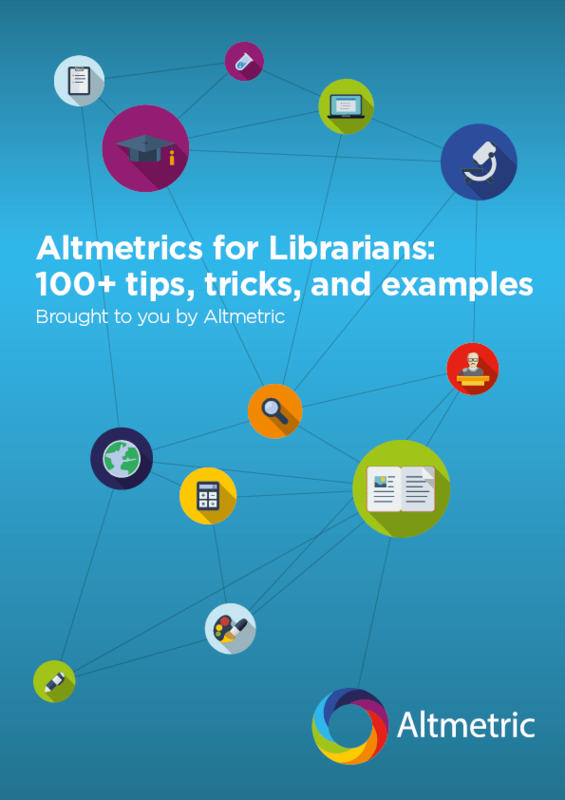 I didn’t learn the term altmetrics until I started library school at Indiana University in 2012, yet I probably used some of the different flavors of altmetrics for a long time without realizing it (e.g. downloads, shares, mentions). I had basic knowledge of altmetrics related to open access and social media at that time, but working with Altmetric’s very own Stacy Konkiel as a research assistant broadened my interest and knowledge of the applicability of altmetrics, especially for researchers who deposit their work in repositories. You’re a humanist by training. What advantages do you think altmetrics can offer humanities researchers, specifically? Increasingly, humanists are creating web-native scholarship, especially in digital humanities and public history. Generally, researchers in both of these fields believe in making their scholarship public and open in various forms, so that others in their field can engage with it, whether it’s a dataset, corpus of texts, or a website. Altmetrics help tell the fuller impact story of these outputs that are missed by traditional journal or book citation counts, especially since humanities researchers tend to share bits and pieces of those books in other forms like conference papers, blogs, tweets even. These outputs have quantifiable impact and attention that humanists can leverage through altmetrics. I also hope that knowing that there are metrics used for non-traditional scholarship may be an incentive for open humanities scholarship, giving humanities scholars a sense of creative and intellectual freedom. Whenever you talk about altmetrics, make it about the scholar — the person — and not the tools or thing. Altmetrics can be great tools for all scholars, but each of us has a different story to tell. Find out what that story is and explore together how altmetrics can help them tell it. Is an engineering faculty applying to a second grant and wanting to illustrate that her previous work has had a public impact? Maybe her work has been referenced policy documents and news reports. Is your historian wondering what other citations her book has gotten aside from what’s found in traditional bibliometrics? Maybe her book is cited in Wikipedia articles. Is a sociologist interested in showcasing how his dataset was used by other researchers in other fields and countries? Altmetrics can tell them who’s using that dataset and who’s engaging with it. Luckily, there are tools (like Altmetric!) that will do the legwork and help aggregate that information for you. Thus concludes our 2015 lineup of noteworthy Altmetric Ambassadors, but don’t worry–many more are to come in 2016!